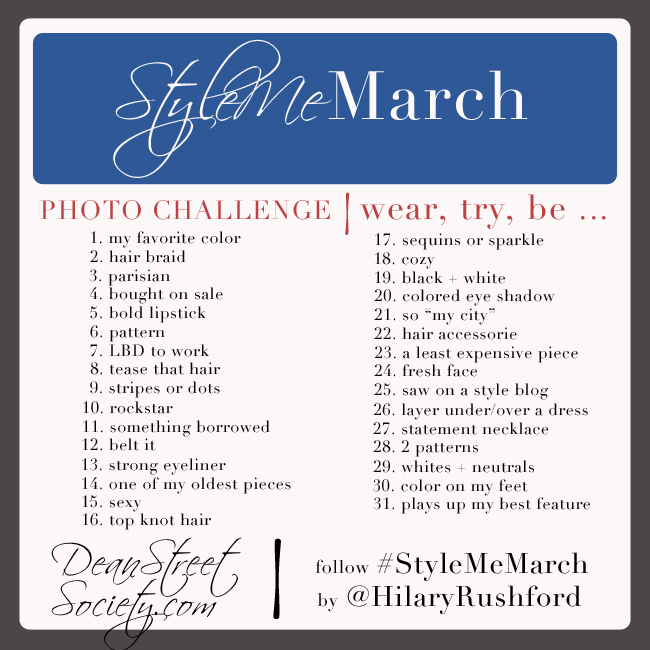 Thanks to Taylor (she mentioned it in her blog) I now have a March challenge and I am excited about it! Unfortunately I missed the first two days. I am excited to do the rest of the month though!